A trip to Russia is everything you would expect and more from the world’s largest country. Steeped in history, the opulent architectural remains of its tsars and a unique culture, this fairy tale destination would not look out of place in a storybook. 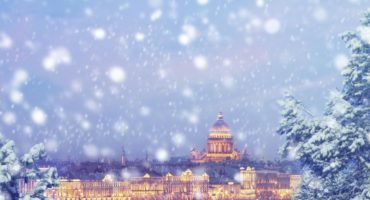 Join a Local Expert in St Petersburg and see the St Isaac’s Cathedral, the fortress of St Peter and Paul and Decembrists’ Square. 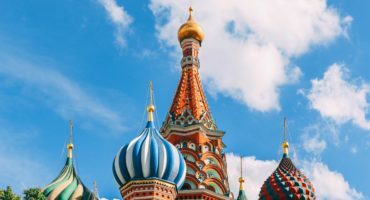 Visit Red Square in Moscow to admire the landmark building of St. Basil’s Cathedral, the Kremlin and Lenin’s Mausoleum. With Insight Vacations gain access to exclusive experiences: • Join the priest’s wife for a workshop on icon painting after visiting St. Nicholas Church in Suzdal. The Golden Ring of once-fortified cities northeast of Moscow, stood witness to some of the most significant events in Russian history. Considered virtual open air museums, their Kremlins, monasteries, cathedrals and churches feature remarkable architecture from the 12th- 18th centuries. With bells ringing out from towering belfries, whitewashed walls, golden spires and onion domes marking the horizon, they rank among the most picturesque in the land. When to go: Head to Russia between June and August for the warmest climates to explore outside. Winters are picturesque but cold, so if you dare to travel December-February, make sure you wrap up.